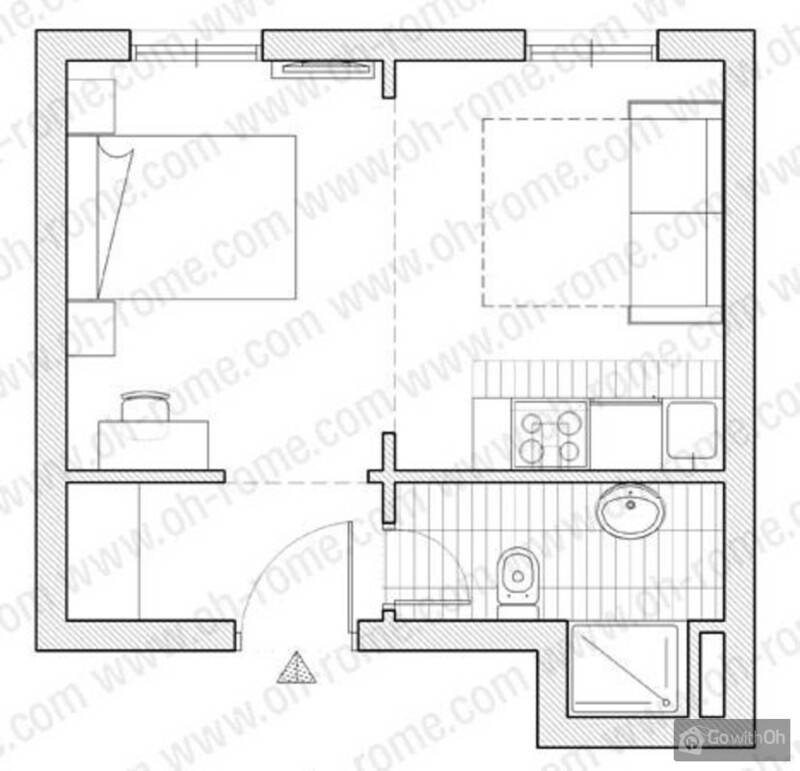 This apartment is a mixture of comfort and elegance located in one of Romes most fascinating areas, close to all the main tourist attractions, all comfortably reachable by foot, which should suit everyone and it also has all kinds of electronic equipment which makes modern life more practical. A very fast Internet connection will let you go online whenever you feel like it, the LCD Tv with SKY allows you to stay up-to-date with the news and if, during the commercials, you feel like taking in some fresh air, you can do this by breathing out of the big and luminous windows to feel surrounded by history again. The modern and equipped kitchen allows you to feel as if you were at home, and you can have a great time with your family here, while the four beds (one double bed, and one double sofa bed) allow you to share your feelings and experiences before you go to bed. The bathroom is complete with a shower, a sink and a toilet. Last but not least, the air conditioning system (which gives out both cold and hot air) will help you to feel good whatever the weather. Check-in between 14:00 and 21:00. Late check-in between 21:00 and 00:00 will incur an additional charge of 30, while between 00:00 and 03:00 the charge increases to 70. Check-out between 07:00 and 10:30.